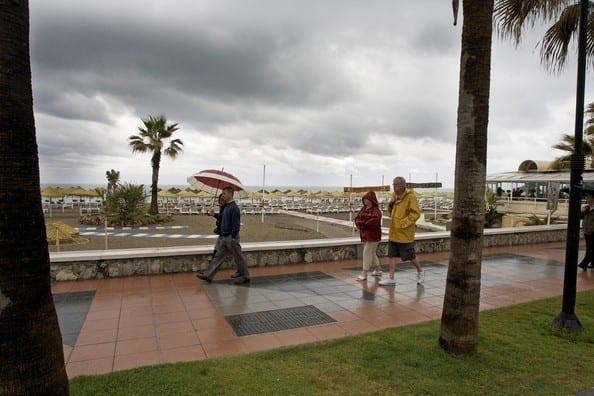 THE rain forecast for Malaga province will intensify as the week goes on, AEMET has predicted. The rain will start from noon today (Monday 26) and last until Saturday March 3. The maximum temperature in Malaga city will be 18C with lows of 10C. Vélez Málaga will reach 20C maximum with a minimum of 10, while in Ronda and Antequera the highest temperatures will be 17C and the minimum, four and five, respectively. The rains will increase in intensity as the week progresses and will affect the whole province. 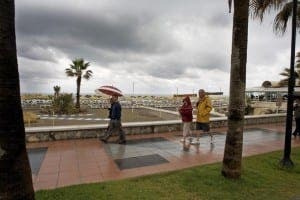 In Marbella, the rains will start on Monday from six in the afternoon with a 95% chance, on Tuesday it will rain only until noon and Wednesday, Thursday, Friday and Saturday, March 3, the rainfall will be stronger and for most of the day. In Antequera it may or may not rain on Monday from six in the afternoon, but it most certainly will do from Tuesday to Saturday, also with increasing force. The rains will be welcome in the areas of the province most affected by the drought such as Vélez Málaga and Axarquía, which will have rain until Saturday. The Junta has already prepared the decree of drought, although it will not take effect until March.